Hyaluronic Acid is a fantastic ingredient for skin hydration. It can actually hold approximately 1,000 times its own weight in water! There is simply nothing else like it for dry skin! 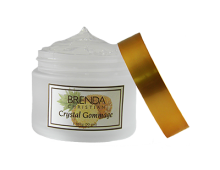 Brenda Christian Scientists combine Pure Hyaluronic Acid with essential Minerals for the ultimate in skin hydration and wound healing. It’s Part of Why Babies’ Skin Is so Soft! Hyaluronic Acid occurs naturally in the dermis, the layer of skin immediately under the surface. In newborns, it is quite plentiful, but gradually diminishes as we age. In fact, decreasing Hyaluronic Acid correlates closely with the appearance of fine lines and wrinkles. It makes sense, then, that by replenishing Hyaluronic Acid, dry skin is revitalized and refreshed, taking on more youthful appearance. We Use 100% pure Hyaluronic Acid. Hyaluronic Acid (HA) is a major constituent of the skin’s extra cellular matrix of collagen and elastin. As we chronologically age, the HA which is prevalent in our skin when we are born, decreases. 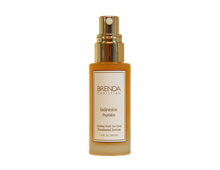 Brenda Christian Scientists, fortified Hydrating Serum with concentrated neuro-receptor minerals (M3) copper, zinc and magnesium in perfect ratios to the Hyaluronic Acid in order to facilitate would healing, and offer scar reduction benefits. Unlike many other HA products, which often contain water, glycerin derivatives, and oils, Brenda Christian uses pure Hyaluronic Acid. And while some other manufacturers source their HA from the combs of roosters, we do not use animal products (or engage in animal testing). Our HA is synthesized within our own laboratories. Hydration Luxe Super Serum also has among the lowest trans-epidermal water loss (TEWL) values, as the HA holds moisture escaping through the skin at the surface. The only additives you will find in Hydration Luxe Super Serum are minerals. We include copper, zinc, and manganese at optimum concentrations to reduce scarring and encourage rapid skin healing. 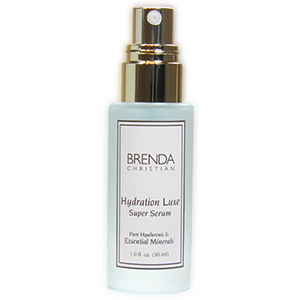 Brenda Christian recommends Hydration Luxe Super Serum for post-laser treatments, post-peels, sunburns, itchy skin, flakiness, redness, scaling and general hydration. Increase skin firmness and elasticity with the same natural substance that underlies the skin’s moisture level from the day you were born. Use once or twice daily, or add a few drops to other moisturizers or foundations, to intensify the hydration benefits of many products. Sodium Hyaluronate, Magnesium Aspartate, Zinc Gluconate and Copper Gluconate.